Chiki Ceramiki staff came in to our pre-school setting to help our children create some lovely Christmas keepsake decorations. The staff were so friendly, professional and brilliant with the children. We have now had Chiki’s in several times to create leavers plaques and more Christmas keepsakes and each time have been very impressed. Jane White – Ducklings Pre-school manager. Went today with my two year old daughter, she loved it and so did I! Food was lovely as well!! Staff were very friendly and helpful! 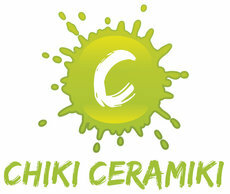 Can't wait to pick up our ceramics! Just went along to today's story session which was fab!! I had the loveliest time watching my little girl paint the little monkey!! Amazingly friendly and helpful staff as always!! Highly recommend a visit for a wonderful experience! Had a lovely morning at the breakfast club, perfect for a rainy day. The staff are so friendly and patient with the children. Will return soon. I can't recommend you highly enough! My daughter had a wonderful 7th birthday party with you and she and her friends ended up with really lovely items...so much so that we have today picked up a take away kit for another friend to do with her! The kit is fantastic, such a good idea - a complete set of paints, sponges, palettes and brushes to paint pottery at home. We'll certainly be back! Thanks so much.